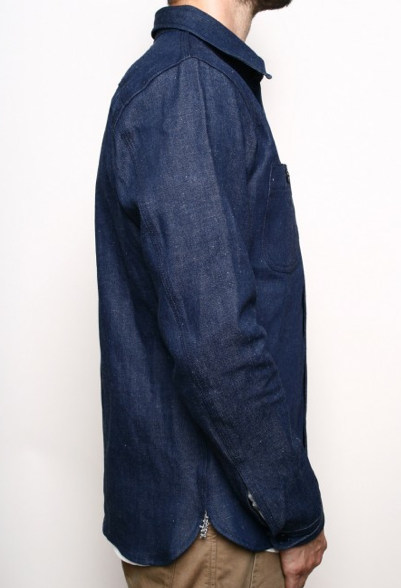 This work shirt from Rouge Territory, featuring 10 oz sanforized selvedge japanese denim is sharp. Navy stitching with navy buttons give it a clean look, and obviously the quality is there (handmade in Los Angeles with triple needle chain-stitched seams and double needle placket cut on the selvedge). Purchase here.